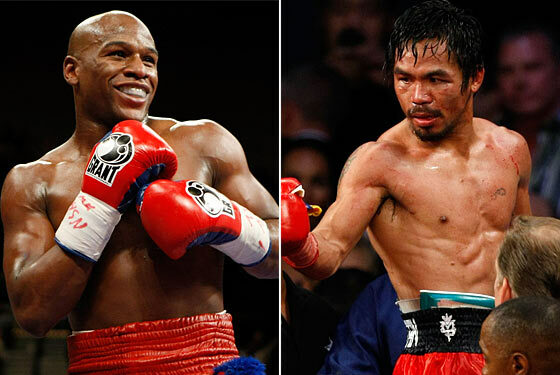 On May 2, 2015, the MGM Grand in Las Vegas, Nevada, will host probably what is to be the most anticipated fight in professional boxing history as the undefeated champion Floyd “Money” Mayweather will square off against the former welterweight champion Manny “Pac-Man” Pacquiao in a match to finally settle the long time debate of who is the best boxer between the two superstars. Mayweather has exceeded in his career, earning multiple titles throughout the years and given the name of boxing’s “pound-for-pound king” by future Hall of Famer Evander Holyfield. With a record of 47-0 (26 knockouts and 21 decisions), his momentum and confidence might be the key factor in the fight. As Mayweather is known for his lightning fast punches and his defensive strategies, his greatest aspects might also be his greatest weaknesses. Pacquiao, who has a career record of 57-5, might hold a significant advantage over the undefeated champ. Ocampo also added to that saying that Pacquiao can maneuver around Mayweather’s defenses as he is known for angling himself to land his punches accurately, helping inflict damage on his opponent and gain points if it comes down to decision time. But after all these negative feedbacks daunting Mayweather and his skills, the future hall of famer had some words to say in a press conference held on March 11 in Los Angeles, California. Speaking with noticeable emotion and passion, Mayweather seemed on the verge of tears during the press conference as this fight means so much for not just his career, but his life and what all those previous match ups and hours of training has led up to. The boxing world has had some historic battles before. Joe Frazier vs Muhammad Ali, Mike Tyson vs Buster Douglas, Felix Trinidad vs Oscar De La Hoya, and now Floyd Mayweather vs Manny Pacquiao. Who will win the fight millions across the world will be watching and who will reign supreme, obtaining bragging rights as this era’s best boxer alive?